With endless sun and sand, glamorous people and luxury hotels, and legendary nightlife, Miami has it all. It’s one of the hottest cities in Florida, not to mention the world, and it’s a great place to do business. But Miami’s popularity can be a double-edged sword. It’s especially difficult when it comes to standing out in a crowd, as competition can be fierce. It’s a bad idea to try to brute-force your way to dominance in a market like Miami. It’s already so saturated with businesses that you would need some deep pockets deeper so you could run a marketing blitz expansive enough to blow your competition out of the water. Yet most Miami natives don’t have those kinds of resources. Lucky for you, there are other ways to market your business that are just as effective but at a fraction of the cost: say hello to Miami content marketing and local SEO. Today, old-style marketing and advertising techniques just don’t work. Modern audiences want to do business with companies that they share social commonalities with. Consumers know they have a choice, and they vote with their conscience as well as their wallet. Content marketing capitalizes on that sentiment by showing, not telling, how a specific company embodies those traits that customers identify with and how they can be proud of doing business with that company. Part of this sentiment is supporting local businesses. Local SEO is all about increasing the visibility of your local business so that consumers know you’re there. It involves a number of different techniques to accomplish this, many of which involve simply increasing visibility in directories so that when a customer searches for “restaurants near me”, for example, your beachfront taco stand shows up on the map, complete with a link to your website. In this way, content marketing and local SEO are two sides of one very important coin. Being a successful business in Miami, anywhere in Florida, or anywhere else for that matter, requires both using effective content marketing and using positive local SEO techniques. These increase your visibility and provide opportunities for increased success. Forget about buying billboards and print ads — digital marketing is the most cost-effective way to raise your brand awareness today. Using locally optimized content marketing to advertise your business, whether it’s by blogging on your company website or through sharing things on social media, has the best positive impact on your brand’s visibility, and focusing on Miami content writing is a surefire way to leverage your position as a business based in one of the biggest and brightest metropolitan areas in the world. Content marketing, combined with good local SEO, helps you get found in Miami. Creating compelling content that resonates with consumers makes your business stand out among the crowd and attracts positive attention that you can then leverage into increased sales volume. This may not be easy for you to do by yourself. You’ve already got a business to run — you don’t have time to do the type of research it takes to understand what type of content will be the most effective for growing your brand online. That’s why you need to partner with a Miami content marketing expert that you can trust to get the job done. Content marketing and local SEO are great tools for any business, large or small, working on increasing their visibility in Miami. Your best choice is always to choose a partner with care when it comes to Miami content writing, but all Miami content creation agencies aren’t created equal. It’s a hard truth, but there are some digital marketers that are just better than others. 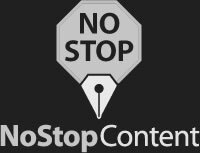 It’s great to find a good copywriter in Miami that specializes in content marketing. It’s better to find a copywriter that can also do local SEO and does web design in Miami for local businesses, as you’ve got a one-stop shop for everything you might ever need. You can outsource all your needs to different local experts, but it’s more convenient, and often more cost-effective, to have everything available under one umbrella. Your company deserves only the best when it comes to content marketing and SEO, and that means you need to find partners with the skills and expertise necessary to deliver on your marketing needs. 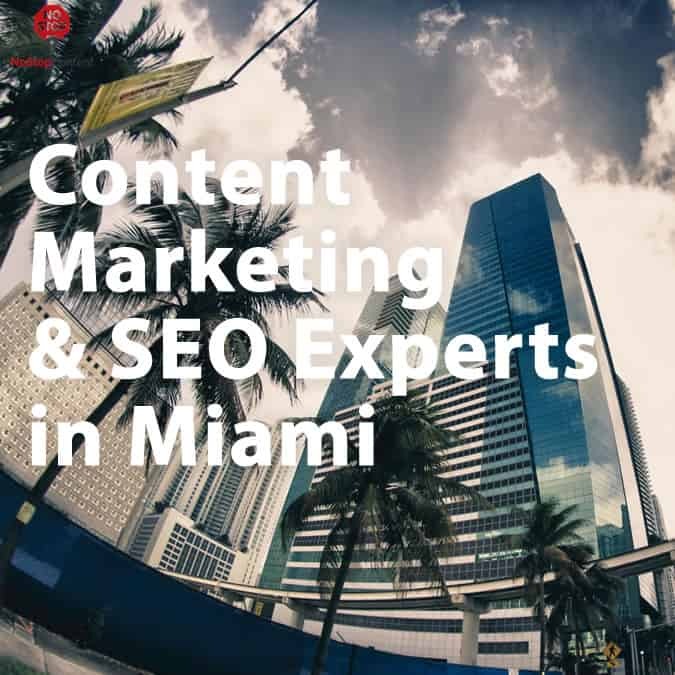 Any content agency in Miami worth it’s salt will have only the most experienced and knowledgeable staff when it comes to industry standards and best practices. Nothing succeeds like success. You should only partner with SEO experts in Miami that can show you just how happy they’ve made their clients in the past. Whether it’s through client referrals, portfolios, or testimonials and feedback, make sure you review how satisfied an agency’s former clients are before forging a new and important partnership. Tired of watching local competitors flourish while you’ve got better products and services to offer? Ready to get your own some of that Miami business demographic? It’s never too late to learn how our professional content creation and local SEO experts can help supercharge your company’s marketing reach. Contact us today!